PAGE 5: The Future, the Afterworld and Eternity - continued from page 4. PLEASE NOTE: The studies in this compendium are copied from Shofars 1 - 52. Updates to this Compendium have been discontinued and not all Shofar studies by the author are in the Compendium. For links to all studies by the author, please go to the most up-to-date Library page (of Shofar 53) and find the author's studies under "NORMAN MANZON." and will He not do it? Or has He spoken, and will He not make it good? 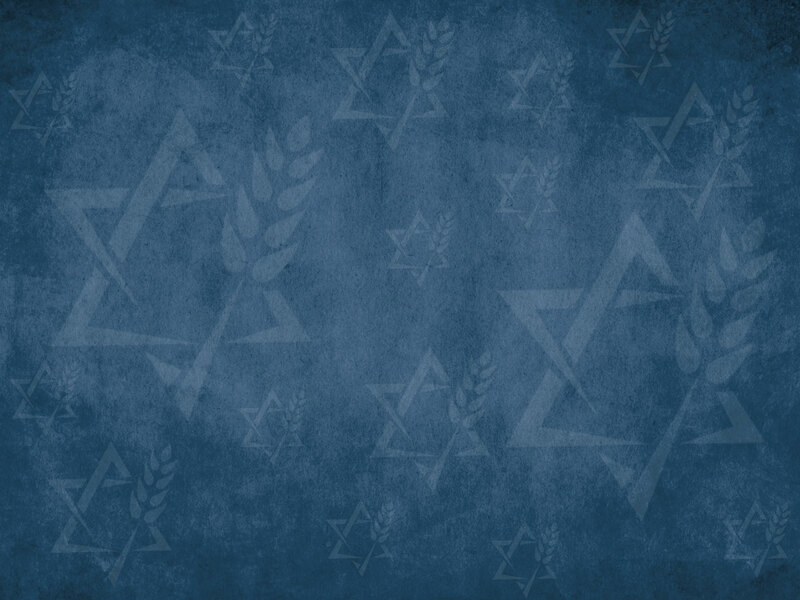 The Messianic Kingdom is part of an extended series of studies in support of the We Believe statement of The Association of Messianic Congregations. Much groundwork for this present study has been laid in the six prior studies of the Kingdom series, links to which are located above. It is urged that they be reviewed so that the present study may be more fully understood in its historical and other contexts. For even firmer foundation, it is suggested that the following studies on page 4 be read or reviewed, as well: The Destinies of the Dead, The Rapture, The Great Tribulation and The Second Coming of the Lord. Some of what has been examined in these studies will be touched on here, but not treated fully. It is worth stating, once again, that the prophesied Kingdom is a literal, earthly Kingdom in which Yeshua will reign bodily as king over Israel and the world. A polemic to this effect is presented in section IV of Part 1: Introduction, the link to which may be found in the Table of Contents at the top of page 4. As has been previously mentioned, a compilation of the Bible's passages concerning the Kingdom would constitute a book. It must therefore be recognized that what is presented herein is, of necessity, a much abbreviated outline and summary. As in the previous Kingdom studies, we will begin with a restatement of those declarations in the AMC We Believe statement that have relevance to the Kingdom. By the end of the Great Tribulation and the seventy-five day interval between the Tribulation and the Kingdom, the Lord will have utterly destroyed the evil world system and purged the earth of all unbelievers, including the armies of Antichrist which will seek to destroy Israel. Having done this, the Lord will renovate the earth, making it a beautiful, edenic, safe place in which to live. Although not perfect because certain aspects of the Adamic curse will continue (most significantly, the presence of the sin nature in those with mortal bodies, and death for many, if not all, in mortal bodies), because many who will be born into the Kingdom will reject the salvation and Lordship of Yeshua, and because Edom and Babylon will be cursed to become utterly desolate habitations of demons, yet, the planet, as a whole, will be edenic compared to the way it is today. The Kingdom environment will be characterized by divine presence. The Lord Yeshua will reign supreme over the nations from His throne in Jerusalem, and the Holy Spirit will fill the earth with the splendor of the Lord's glory. No false religion, philosophy or occult practice will be allowed to flourish, and the earth will be full of the knowledge of the LORD as the waters cover the sea (Isaiah 11:9; Habakkuk 2:14). All who enter the Kingdom, whether as "walk-ins" from the Great Tribulation, or by resurrection, or by being returned, body and soul, to earth from heaven (Enoch and Elijah), will be saved. This glorious throng will be composed of all believers since Adam. According to Revelation 20:6, all who had been resurrected in immortal bodies will reign with Messiah in some capacity for the duration of the Millennium. This group will be comprised of all Old and New Testament saints, both Jewish and Gentile, the two Tribulation witnesses and all martyred Tribulation saints. Surely, Enoch and Elijah, who had never seen death but had been drawn up directly into Heaven, will reign, as well. Yeshua will reign over the entire earth in general, and will exercise special kingship over Israel with resurrected King David reigning as king over Israel under Him. Under this dual kingship, the twelve apostles will reign over the twelve tribes of Israel, and there will be judges and counselors in Israel, as well (Isaiah 1:26). Zerubbabel, post-exilic governor of Judah, will be placed in some unnamed position in Israel (Haggai 2:23). The Gentile nations of the world will be ruled by Gentile kings, but Israel will have authority over them and their nations (Isaiah 14:1-2; 60:10-61:5). The body of Messiah and the Tribulation martyrs will rule over the Gentiles, as well (Revelation 20:4-6). How these different rulerships over the Gentiles will coordinate with one another remains to be seen. Civil laws will be rendered in the Kingdom (Micah 4:1-2) from Yeshua on down, as well as laws regarding worship. In our last study, we addressed three key facets of Israel's blessedness in the Kingdom and concluded with a look at the significance of Israel's blessedness in the Kingdom for the nations of the world. This now brings us to an examination of the significance of the Kingdom itself. God does nothing haphazardly or arbitrarily. Everything He does is calculated, well-planned, and purposeful (Romans 8:28; 1 Corinthians 15:28; Philippians 1:11, 2:11; Revelation 4:11), ultimately for His pleasure and glory (Psalm 79:9; Isaiah 40:5; Romans 9:23; 1 Corinthians 10:31; Ephesians 1:12,14; Revelation 4:11.) It follows, then, that this is true of His establishment of the Kingdom and, indeed, of His establishment of every preceding age and test that He has put mankind to, and the sequence of them. These we will examine here, particularly the significance of the Lord's Kingdom in regard to the convincing of all humanity of His righteousness, in the blessing of His people Israel and the body of Messiah, and in regard to the cross. God made eight covenants that affect all mankind either directly or indirectly to this day. Three He made with all mankind, and five with Israel. Some are still in force today, and some are not. Some contain a multitude of requirements or provisions, some a few. Some initiated periods of time called dispensations during which, among other provisions, God provided tests of man's or Israel's faithfulness to Him. It is the study of these tests and of man's and Israel's response to them - and an analysis of the sequence of them leading up to the Kingdom - that we are presently engaged in. Adam and Eve were created in perfect health of body, mind and spirit, in a perfect environment, and enjoyed daily fellowship God. To test the depth of their love for Him - not for His knowledge, but for theirs - the Lord instituted one requirement of them that would require a sacrifice of self-gratification: to refrain from eating of the fruit of the tree in the midst of the Garden (Genesis 3:3). Choosing self-gratification over submission to the One who blessed them so marvelously, our first parents broke fellowship with God and brought upon themselves the curse of expulsion from the Garden, pain, struggle and death; and this curse remains with all of us to this day. Having broken down the barrier of resistance to sin and now being poisoned in spirit with the sin nature, they and their descendants were now permitted by God to attempt to live righteously according to the dictates of their own consciences to see how well they would do at it. After all, they had acted on their own in the Garden, so the Lord now gave them leave to live according to their own consciences with the memory of the consequences of their first sin as an inducement to heed the dictates of their consciences. Having sinned and now possessing the sin nature, the human race was now in need of salvation. Therefore, the central requirement of the first post-Fall covenant that God made with mankind, the Adamic Covenant, was that they exercise faith in the Redeemer, which God promised them in Genesis 3:15. In the hearing of Adam and Eve, God said to the serpent, And I will put enmity between you and the woman, and between your seed and her seed; He shall bruise you on the head, and you shall bruise him on the heel. Throughout Scripture, genealogies of nations, families and individuals are traced through male lineage, the seed of men, but here the Lord declared to Satan, who empowered the serpent, that the Seed or Descendant of the woman shall crush his head. In both instances of its use, the word bruise would better be translated crush. Though Satan will bring slight, temporary injury to the Messiah, which later would be revealed as crucifixion, He who will be born of the Virgin will bring him, Satan, to utter defeat. Well, how well did mankind do? The first significant event we read of after the Expulsion is the murder of righteous Abel by his self-willed brother, Cain, which serves as the keynote for the behavior of mankind from that point forward until the Flood before which The LORD saw that the wickedness of man was great on the earth, and that every intent of the thoughts of his heart was only evil continually (Genesis 6:5). Man had failed the test miserably, God brought on the Flood, and began the human line afresh with righteous Noah. Thus far, man had proven himself disobedient in the Edenic environment and wicked in the extreme in the Dispensation of Conscience, rejecting even the thought of a Redeemer who championed righteousness; and Noah and his family were well aware of what could be expected of their descendants were they left to the dictates of their own consciences. Therefore, they could readily accept the new requirement that God would make of them and their descendants in regard to murder. In addition to the requirement to spread out and multiply across the earth, God required capital punishment of murderers: Whoever sheds man's blood, by man his blood shall be shed, for in the image of God He made man (Genesis 9:6). As to the first requirement, man built a city and a tower specifically to keep themselves from spreading out, in direct defiance of God's command to fill the earth: Come, let us build for ourselves a city, and a tower whose top will reach into heaven, and let us make for ourselves a name, otherwise we will be scattered abroad over the face of the whole earth (Genesis 11:4). This puny attempt to thwart God's will failed miserably as God got His way by causing them to scatter through the multiplication of languages. How are we doing in the matter of Noahic capital punishment today? As of the date of this writing, November 3, 2015, 140 of the world's 196 countries, 71 per cent, have abolished the death penalty for all causes, and it appears that others will follow. Again mankind has proven himself lawless on a world scale and in need of further "input" from the Lord. Further "input" came through the calling out of a nation to be a beacon of God's light, a carrier of His spoken and written Word, and the bringer forth of His Messiah into the world. This calling out of Israel contained requirements for both Israel and the Gentiles. The chief requirement concerning Israel will be addressed immediately below. Here we will focus on the requirement enjoined upon the Gentiles concerning Israel. In Genesis 12:3, God told Abram, I will bless those who bless you, and the one who curses you I will curse. The promise was not just for Abraham personally, but for all of Israel. We see that as Isaac verbalized that very promise to Jacob (Genesis 27:29). Even Balaam declared the same concerning the entire nation (Numbers 24:9). How have the nations done in the matter of blessing and cursing Israel? Some, both ancient and modern, have blessed Israel; but the central picture is that of cursing: from Egypt, the Canaanites, Assyria, Babylon, Greece and Rome right on through the blood-libels, the Crusades, the Holocaust, the Arab-Muslim persecutions, the hugely disproportionate unjust and unfair condemnations of Israel by the United Nations, and the increasing alignment of the nations of the world against Israel today. As in previous matters, the nations of the world failed in this, and further "input" from the Lord will surely be on its way! 15. The LORD your God will raise up for you a prophet like me from among you, from your countrymen, you shall listen to him. 16. This is according to all that you asked of the LORD your God in Horeb on the day of the assembly, saying, "Let me not hear again the voice of the LORD my God, let me not see this great fire anymore, or I will die." 17. The LORD said to me, "They have spoken well. 18. I will raise up a prophet from among their countrymen like you, and I will put My words in his mouth, and he shall speak to them all that I command him. 19. It shall come about that whoever will not listen to My words which he shall speak in My name, I Myself will require it of him." That Prophet like Moses was Yeshua. Did Israel listen to Him? Some did, but as a nation they did not. At the incitement of their religious leaders, they cried out, Crucify Him (Matthew 15:7-15 et al); and Israel, taking the lead of their rabbis, has, on the whole, rejected Him to this day. The sentence of judgment has been on Israel since their national rejection of Him, and will reach a climax during the period of Jacob's trouble (Jeremiah 30:7), the Great Tribulation. However, as with all of the God's dealings with His people, the Tribulation will have great redemptive value for them, namely, the salvation of all Israelites remaining alive at the end of it, the salvation of every Israelite born after that (Jeremiah 31:34), and their particular blessedness and prominence in the Kingdom. Whereas all people of all ages could receive salvation, the means of salvation was made clearer that ever before with the crucifixion of Messiah and the preaching of the Gospel to both Jews and Gentiles. How has the world done in this regard? The majority of both groups have rejected Messiah, and significant persecutions of believers have been exercised by both groups: unbelieving Gentiles upon both groups, and unbelieving Jews primarily upon Jewish believers. Yet again rebellious mankind has earned for himself further "input" from the Lord. From the very beginning, mankind, and then mankind and Israel, has been offered progressive means for living righteously in spiritual standing and in outward action, and for the most part, both Gentiles and Jews have rejected these means, choosing rather to live unrighteously inwardly and outwardly. It would not be too much to say that, in the big picture, everyone did what was right in his own eyes, as it was in the days of the judges (Judges 17:6; 21:25). In the matter of government, even in his state of edenic innocence man failed to obey the one command that God gave him; he then failed in the opportunity that God gave him to operate righteously according to his conscience. Having failed in that, God added another layer of government, human government, initiated by the command to execute murderers, and mankind failed in this. God added yet another layer of inducement to righteous living by raising up a nation to be a light to the other nations; and the nations of the world not only did not respect that nation, but sought, and is still seeking, to eliminate it. Nor did they or Israel respect the Savior brought forth through that nation to enable both Jews and Gentiles to live righteously; but on the whole, both Jews and Gentiles rejected and crucified Him and have done the same to His followers. That brings us up to today, and the story is not over. 2. He never did, nor will he ever, have any ground for accusing the Lord when He intervenes with overwhelming and irresistible force. And indeed, the Lord will intervene yet again with such force as He did in the days of Noah, and be totally vindicated in doing so. He will purge mankind of his wicked, ungodly governments and other institutions during the Great Tribulation, and rule the nations with a rod of iron (Revelation 2:27) in His Kingdom. Then, and only then, the earth shall be filled with the knowledge of the glory of the LORD, as the waters cover the sea (Isaiah 11:9; Habakkuk 2:14). Your kingdom come. Your will be done, on earth as it is in heaven. The significance of the Kingdom in regard to Israel lies in the fact that God will bring to absolute fulfillment every promise that He has made with her. He promised to save all of Israel (Jeremiah 31:34; Romans 11:26), and He will. He has made numerous promises to them concerning the borders of their Land and their security, prosperity and prominence in the Kingdom, and He will bring all to pass. Against all satanic and human opposition, God will prove Himself to be a keeper of His promises to Israel. The significance of the Kingdom in regard to the body of the Messiah likewise lies in the fact that God will bring to fulfillment the promises that He has made with them regarding the Kingdom. (The promises that He has made with them concerning the eternal ages will be fulfilled after the Kingdom.) When the Lord returns at the end of the Tribulation, His raptured and glorified body of believers will return with Him. 14. Behold, the Lord came with many thousands of His holy ones, 15. to execute judgment upon all, and to convict all the ungodly of all their ungodly deeds which they have done in an ungodly way, and of all the harsh things which ungodly sinners have spoken against Him. They will then be priests of God and of Christ . . . for a thousand years and perhaps excluding the twelve apostles, who will rule over the twelve tribes of Israel (Luke 22:28-30), will reign with Him over the Gentile nations (2 Timothy 2:12; Revelation 5:10, Revelation 20:6). Here again, as with Israel, God will prove Himself to be a keeper of His promises to His body. 5. Have this attitude in yourselves which was also in Christ Jesus, 6. who, although He existed in the form of God, did not regard equality with God a thing to be grasped, 7. but emptied Himself, taking the form of a bond-servant, and being made in the likeness of men. 8. Being found in appearance as a man, He humbled Himself by becoming obedient to the point of death, even death on a cross. 9. For this reason also, God highly exalted Him, and bestowed on Him the name which is above every name, 10. so that at the name of Jesus EVERY KNEE WILL BOW, of those who are in heaven and on earth and under the earth, 11. and that every tongue will confess that Jesus Christ is Lord, to the glory of God the Father. 12. So then, my beloved, just as you have always obeyed, not as in my presence only, but now much more in my absence, work out your salvation with fear and trembling; 13. for it is God who is at work in you, both to will and to work for His good pleasure. The failure of man in every test that the Lord has put him to will thoroughly vindicate Him in the eyes of man for His use of overwhelming and irresistible force in the purging of the planet during the Great Tribulation and in the establishment of His Kingdom. The Kingdom will prove significant to Israel in that, during the Kingdom, He will thoroughly fulfill every promise that He has made to her. The Kingdom will prove significant to the body of Messiah in that, during the Kingdom, He will thoroughly fulfill every promise that He has promised to fulfill for her in the Kingdom. The Kingdom will prove significant in regard to the cross in that, at the cross, the Lord not only purchased salvation for sinners, but the purging of the planet during the Great Tribulation and the establishment of an earthly Kingdom of Righteousness for His people Israel and the body of Messiah, in which they will be particularly blessed and will reign with Him, as well as for those born in the Kingdom who will believe in Him and serve Him. Scriptures chosen by the author are in the New American Standard version unless otherwise noted. Scriptures in quotes by others may be in different translations. 1. The entire We Believe statement of the Association of Messianic Congregations may be found at http://www.messianicassociation.org/believe.htm. 1. The Footsteps of the Messiah: A Study of the Sequence of Prophetic Events. Many consider Footsteps a landmark work in the piecing together of end-time prophecy. All of Dr. Fruchtenbaum's publications are available at Ariel Ministries in various formats, many for free listening. Cooper, D.L. (1951, July). Biblical Research Society: Dr. David L. Cooper. Retrieved from http://ariel.org/dlc/dlc.htm. See What We Believe, section "The Millennial Reign of Christ." Simmons/Providence Baptist Ministries, T.P. (2010). Chapter 42 - The Millennium. Retrieved from http://www.pbministries.org/Theology/Simmons/chapter42.htm. Manzon/The Association of Messianic Congregations, N.A. (2011, April). The Faithful Remnant of Israel. Retrieved from http://www.messianicassociation.org/ezine26-a-nm.believe-messianic.htm. Manzon, Norman A. "The Prophetic Feasts of Israel." http://www.biblestudyproject.org/feasts-of-israel-messianic.htm. Then comes the end, when He hands over the kingdom to the God and Father. With our last Shofar we concluded a seven part series on the Messianic Kingdom commonly known as the Millennium, that glorious period of a thousand years during which Yeshua will reign bodily on a renovated earth. Neither Satan nor his demons will be permitted to roam the earth during this period. Quite to the contrary, the Spirit of God will manifest His Presence on Earth as never before except, perhaps, in Eden; and The earth will be filled with the knowledge of the glory of the LORD, as the waters cover the sea (Isaiah 11:9; Habakkuk 2:14). If you'd like to review, the last of the Kingdom studies, The Significance of the Kingdom, above, begins with a recapitulation of all previous Kingdom studies and continues on to the final study. If you'd like to read all the Kingdom studies in full, they begin on page 4 of this Compendium. The two glorious periods that believers look forward to with divine hope are the Messianic or Millennial Kingdom and Eternity or the Eternal Ages. We will address the latter in due time; but there is a hiatus between the Kingdom and Eternity during which several transitional events will take place that will be characterized by divine housecleaning and the resolution of certain matters in preparation for the Eternal Ages, a hiatus which may be called The Millennium-Eternity Interval. 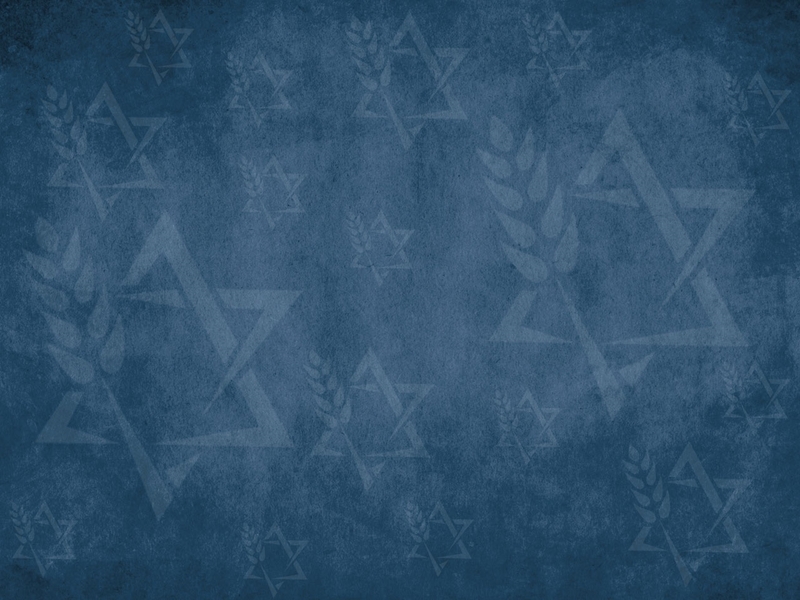 We will begin addressing these transitional events in this study; but before we do, let us lay a foundation by reading relevant aspects of the We Believe statement of The Association of Messianic Congregations. 7. When the thousand years are completed, Satan will be released from his prison, 8. and will come out to deceive the nations which are in the four corners of the earth, Gog and Magog, to gather them together for the war; the number of them is like the sand of the seashore. 9. And they came up on the broad plain of the earth and surrounded the camp of the saints and the beloved city, and fire came down from heaven and devoured them. 10. And the devil who deceived them was thrown into the lake of fire and brimstone, where the beast and the false prophet are also; and they will be tormented day and night forever and ever. When the thousand years are completed. The Greek word for when is hotan. In numerous places where it is used it points to the beginning of something new. For example, John 16:13: But when He, the Spirit of truth, comes, He will guide you into all the truth. Thus, when He, the Spirit of truth, comes, something new will begin: He will guide you into all the truth. Similarly, When the thousand years are completed, something new will take place: Satan will be released from his prison. This something new will be characterized by furious rebellion, totally out of character with the general tenor of the Kingdom. Because of its newness and radically different character from that of the Kingdom, it is best to think of Satan's release not so much as marking the end of the Kingdom, but as marking the beginning of a new period, perhaps best called the Millennial-Eternity Interval. Just as there will be a seventy-five day interval between the Great Tribulation and the Kingdom during which significant events take place, so there will be an interval between the Kingdom and the Eternal Ages during which significant events will take place. There will be angelic and human participants in the rebellion. Just prior to the Millennium, an angel of God will bind Satan in the Abyss to prevent him from deceiving the nations (or Gentiles) for the duration of the Kingdom. 1. Then I saw an angel coming down from heaven, holding the key of the abyss and a great chain in his hand. 2. And he laid hold of the dragon, the serpent of old, who is the devil and Satan, and bound him for a thousand years; 3. and he threw him into the abyss, and shut it and sealed it over him, so that he would not deceive the nations any longer, until the thousand years were completed; after these things he must be released for a short time. The passage concludes with a most interesting declaration: after these things he must be released for a short time . The central tests include the testing of Adam and Eve in the Garden, the testing of humankind from the expulsion to Noah to see if they would live by the dictates of their consciences, the post-Flood test to see if mankind would disperse across the planet to populate it; the test to see whether societies would execute capital punishment upon murderers; the test to see if the Gentile nations would bless Israel and not curse her; the test placed on Israel to see if she would heed the Prophet like Moses (Deuteronomy 18:15-19); the test to see if Israel and the nations would believe the Gospel preached by Yeshua and His apostles; and the test to see if the people of the world would heed the evangelistic preaching of believers during the Church Age and of the 144,000 Jews, two witnesses and an angel during the Great Tribulation. In all of these tests, Satan has always been present to dissuade people and nations from following the will of the Lord. 3. Revelation 20:7: Satan will be released from his prison, 8. and will come out to deceive the nations which are in the four corners of the earth. To be sure, throughout the Millennium those in mortal bodies will be tested, as well, to see if they would exercise faith in the Lord and submit to His will, though without the "benefit" of Satan whispering "sweet nothings" in their ears. But now, after the close of the Millennium, consistent with the Lord's testing of the nations from Adam through the Tribulation, Satan will be released from his prison, 8. and will come out to deceive the nations once again. Will Satan employ demons in his rebellion? He has certainly employed them in his deceptions from the Expulsion through the Tribulation; but will he employ them during this final rebellion? One group of demons will certainly not accompany him: those confined in the Tartarus section of Sheol or Hades since before the Flood. They will be escorted directly from Tartarus to the Lake of Fire (Genesis 6:1-4; 2 Peter 2:4; Jude 1:6). But what about all the other demons, the ones confined to Babylon and Edom for the duration of the Kingdom (Babylon: Isaiah 13:21-22; Revelation 18:2. Edom: Isaiah 34:13-15)? Though Scripture says that Satan will be released after the Millennium, it does not say that his demons will be released or that they will accompany him in his rebellion. The next place that fallen angels appear in Scripture is at the Great White Throne (1 Corinthians 6:30) subsequent to the rebellion. In light of these things, we cannot say that demons will accompany Satan in his rebellion. The Bible simply does not say one way or the other. Revelation 20: 7. When the thousand years are completed, Satan will be released from his prison, 8. and will come out to deceive the nations [or Gentiles] (4) which are in the four corners of the earth, Gog and Magog, to gather them together for the war. The phrase Gog and Magog, associated with Moscow and Tubalsk in Russia (Ezekiel 38:2), adds emphasis to the fact that Satan's forces will be gathered from the four corners of the earth. But from which of earth's people groups will these forces be drawn? Two groups of people will be present on earth in the Kingdom: those with glorified bodies and those with mortal bodies. (5) Not a single saint with a glorified body will take part in the rebellion as all in this group, by virtue of their glorification, will have attained what theologians refer to as confirmed creaturely holiness: They will live in a perpetual state of perfect, pure and consistent holiness and be absolutely incapable of sinning in the least degree (Romans 8:29). That leaves those in their mortal bodies. This group will be comprised of Jews and Gentiles. The Jews at Kingdom's end will be the descendants of that third of Israel who received the Lord at the end of the Tribulation, and the Gentiles at Kingdom's end will be the descendants of the sheep Gentiles who displayed their saved state by offering succor to the Tribulation Jews, whom Satan, through Antichrist, tried to destroy (Matthew 25:31-40). Not a single Jew will participate in the post-millennial rebellion as every Kingdom Jew from the least of them to the greatest of them will know the Lord and live lives dedicated to Him (Isaiah 59:20-21; Jeremiah 31:34; Ezekiel 11:19, 36:26; Zechariah 13:1). That leaves the Gentiles in their mortal bodies. Throughout the course of the Kingdom, some from this group will exercise faith in the Lord and become His disciples; and those saved Gentiles who are alive at the end of the Millennium will not join Satan in his rebellion. So who is left? Gentiles in their mortal bodies who are alive at the end of the Kingdom and have rejected the Lord. It will be from this group that Satan will gather his army together for the war; the number of them is like the sand of the seashore. Revelation 20:9a continues, And they came up on the broad plain of the earth and surrounded the camp of the saints and the beloved city. The beloved city is, of course, Jerusalem. The armies gathered from over the breadth of the earth and surrounded Jerusalem. The saints in the passage must refer only to Israelites, all of whom will know the Lord and will have been brought back to their Promised Land (Jeremiah 31:31-34; Ezekiel 36:24-27). It is unlikely that the saints here will include the saved Gentiles as a group as they will have their dwellings in their own nations throughout the earth (Revelation 5:9; 14:6). What we see here is another Satanic attempt to destroy the Jews; and not only the common Jewish people, but the King of the Jews, Himself, for He will be ruling and reigning from Jerusalem, the city of the Great King (Psalm 2:6; 78:68; 87:2; 48:2; Micah 4:2). As has been shown in previous studies (7), Satan has made a career of attempting to usurp the Lord's rulership and prevent his own being cast into the Lake of Fire. This post-Millennial rebellion will constitute his final desperate attempt at victory in his age-old endeavor, the victory that has eluded him since his original rebellion against God. Revelation 20:9: And they came up on the broad plain of the earth and surrounded the camp of the saints and the beloved city, and fire came down from heaven and devoured them. Simple and quick: fire came down from heaven and devoured them. Of course, this will be the fate of the human rebels, not of Satan, for Satan is a spirit. At the end of the Tribulation, the rebelling armies were killed with the sword which came from the mouth of Him who sat on the horse (Revelation 19:21). Now, in parallel fashion, the post-Millennial rebels will be devoured by fire that came down from heaven. Just as fire came down from Heaven to devour Elijah's sacrifice in his confrontation with the prophets of Baal (1 Kings 18:19-38), so fire will come down from Heaven and devour the rebelling armies. God spoke the universe into existence. How simple for Him to dispose of those who oppose Him! Revelation 20:10: And the devil who deceived them was thrown into the lake of fire and brimstone, where the beast and the false prophet are also; and they will be tormented day and night forever and ever. Antichrist and the False Prophet were cast into the Lake of Fire in their failed rebellion against the Lord at the end of the Tribulation (Revelation 19:19-20). Now, in parallel fashion, Satan will be cast into the Lake after his failed post-Millennial rebellion. The deposed rebelling armies, upon whom fire came down from heaven, will stand before the Lord at the Great White Throne Judgment, the subject of our next study. Psalm 2 makes it very clear that God gave the Kingdom to His Son. 6. But as for Me, I have installed My King Upon Zion, My holy mountain. 7. I will surely tell of the decree of the LORD: He said to Me, "You are My Son, Today I have begotten You. 8. Ask of Me, and I will surely give the nations as Your inheritance, And the very ends of the earth as Your possession. 9. You shall break them with a rod of iron, You shall shatter them like earthenware." In 1 Corinthians 15 we are told that after the Son will accomplish the task of putting all His enemies under His feet, He will return the Kingdom to the One who gave it to Him. 24. then comes the end, when He hands over the kingdom to the God and Father, when He has abolished all rule and all authority and power. 25. For He must reign until He has put all His enemies under His feet. 26. The last enemy that will be abolished is death. Parenthetically, an examination of the Greek, various literal translations and other highly regarded translations seems to indicate that the should not appear before God in the phrase to the God and Father. As an example, the American Standard version renders it to God, even the Father. What, exactly, does the end refer to: when He has abolished all rule and all authority and power or when He hands over the kingdom to the God and Father? The first thing to notice is that there is an obvious sequence here. First the Lord abolishes all rule and all authority and power, and then He hands over the kingdom to the God and Father. Further, the Lord's abolition of all rule and all authority and power will be an ongoing process as is evidenced by verses 25 and 26. His reign will last a thousand years; and then finally, after He vanquishes the rebelling armies, He abolishes death by casting the author of death, Satan, into the Lake of Fire (Revelation 20:10). Another thing to notice is the juxtaposition of when He hands over the kingdom to the God and Father to the end. In consideration of these things, the end must solely refer to when He hands over the kingdom to the God and Father. This is consistent with the fact that the end is sometimes translated "the consummation," which is the resolution to which things prior to it have been leading. The declaration, He hands over the kingdom to the God and Father, may easily be glossed over in one's reading, but it is emphatically worthy of meditation, arguably more so than Satan's rebellion! It will be the "consummation" of the Lord's efforts through the ages. What a monumental event! From the moment that Satan seduced our first parents and brought the curse into their lives and upon the earth - yes, even from the prior moment when he rebelled against God in the heavenlies and set a third of the angels against God - from that moment the Lord set in motion His plan of redemption for mankind and for creation, which can be determined by Isaiah 14:15: Nevertheless you will be thrust down to Sheol, To the recesses of the pit. And now, finally, after the incarnation, the cross, the Great Tribulation, the binding of Satan in the Abyss, the Kingdom, the vanquishing of the post-Millennial rebelling army and the eternal imprisonment of Satan in the Lake of Fire - finally, after all this pain and chaos and rebellion, the Lord, in a supreme climax of victory that can barely be imagined by mere mortals, hands over the kingdom to the God and Father. He can now rest, and all of His people can rest from even a whisper of struggle against temptation, sin or the curse. 27. For HE HAS PUT ALL THINGS IN SUBJECTION UNDER HIS FEET. But when He says, "All things are put in subjection," it is evident that He is excepted who put all things in subjection to Him. 28. When all things are subjected to Him, then the Son Himself also will be subjected to the One who subjected all things to Him, so that God may be all in all. After Paul declares, HE [THE FATHER] HAS PUT ALL THINGS IN SUBJECTION UNDER HIS [SON'S] FEET, he feels compelled to point out that He [THE FATHER] is excepted who put all things in subjection to Him [YESHUA]: the Father did not place Himself IN SUBJECTION UNDER HIS [SON'S] FEET along with all else! (What an overthrow of divine order that would be were it possible! What a heresy could have developed were Paul not so explicit!) To clarify the matter even further, Paul declares that When all things are subjected to [Messiah], then the Son Himself also will be subjected to the One [the Father] who subjected all things to Him. It was the Father who was the Prime Mover in bringing all thing in subjection to Messiah, and now, in turn, Messiah hands over the kingdom to the God and Father while remaining in subjection to Him. That God placed all things under Messiah's feet is seen again in Ephesians 1: 22. And He put all things in subjection under His feet, and gave Him as head over all things to the church, 23. which is His body, the fullness of Him who fills all in all. The passage will be looked at more closely a few paragraphs down. Messiah became incarnate, went to the cross, rose, established His body of believers, brought on the Great Tribulation and the demise of His enemies and the salvation of all Israel at the end of it, established His Kingdom and vanquished His foes at the end of it, and cast Satan into the Lake of Fire - for one purpose, and one purpose only: so that God may be all in all. What does it mean that God may be all in all? Here's another phrase that may easily be glossed over. If that is the singular purpose to which Messiah has been driving since Satan's original rebellion in the heavenlies, then surely it behooves us to attempt to determine its meaning. What does all in all mean? All of what in all of what? For starts, it's obvious that the first all refers to what God may be. The apostle used the exact same expression in the Greek in 1 Corinthians 12:6 and Ephesians 1:23; and in Colossians 3:11 it just differs in having the Greek kai (and) thrown in. Let's see what we can derive from these passages. The expositions that I offer have been determined by the contexts of the passages. There are varieties of effects, but the same God who works all things in all persons. The Father utilizes all things, that is, the spiritual gifts, in all persons in the body in such a way as to determine the effects or results that the use of the gifts have in each case. 22. And He put all things in subjection under His feet, and gave Him as head over all things to the church, 23. which is His body, the fullness of Him who fills all in all. And He put all things in subjection under His feet is a quote from Psalm 8:6, which reads in full, You make him to rule over the works of Your hands; You have put all things under his feet. God has exalted Messiah over everything. It is Messiah, who fills all in all. Messiah fills all of creation, but Paul's focus is the body. He mentions His body, and then goes on to say that His body is the fullness. At the very least, what all in all means here is that Messiah fills all of the body with all of Himself. The first all things in verse 22 refers to all those in authority among earthly and heavenly beings, but with an emphasis on angelic beings, especially the rebellious ones. The second all things in the verse refers to the complete and absolute Headship that the Father entrusted to His Son regarding the church. There is no distinction between Greek and Jew, circumcised and uncircumcised, barbarian, Scythian, slave and freeman, but Christ is all, and in all. Messiah's indwelling Presence in all believers in the body esteems and treats each one of them with the same love, respect and kindness, irrespective of nationality or social position. He is the sum of all goodness in all the members of the body. The kai, and, lends clarification to the muddier expression all in all: Messiah IS all, AND He is IN all. 1 Corinthians 12:6: The Father utilizes all things, that is, the spiritual gifts, in all persons in the body in such a way as to determine the effects or results that the use of the gifts have in each case. Ephesians 1:22-23: Messiah fills all of the body and all of creation with all of Himself. Colossians 3:11: Messiah is the sum of all goodness in all the members of the body. Now, to consolidate the concepts: God is the filler of the body with all that He is, and the members of the body are the ones who are filled. God is also in full control of how He utilizes the aspects of His Presence in the members of the body and of their effects or results on others. Messiah is the sum of all goodness in the body, and also fills all of creation with all of Himself. The three passages variously limit or focus themselves to the Presence and working of God in and through the members of His body, which, by definition, is limited to all believers from Pentecost to the Rapture; but what we've derived from the passages can be applied to the all in all in 1 Corinthians 15:28 where ALL THINGS includes - but is not limited to - all believers of all time, which the preceding two verses, 22 and 23, having to do with the resurrection, also refer to. After Messiah hands over the kingdom to the God and Father, God will exercise the fullness of His power and blessing in and through all people who are His from the Creation to the end of the Kingdom to the fullest extent that creatures can be blessed (without becoming divine themselves)! We'll now answer our original question very simply. What does it mean that God may be all in all in 1 Corinthians 15:28? It means that when Messiah hands over the kingdom to the God and Father, God will fill all believers - from Adam through the last person saved in the Millennium - with all of Himself - in a creation in which all angelic and human rebellion has been brought to an end. To keep our thinking and speaking clear on the meaning of all in all, it may be helpful to emphasize the words be and all: that God may BE all IN all. What a wonderful day that will be! 1. Dr. Cooper calls this The Golden Rule of Interpretation. Cooper, Dr. David L. "Biblical Research Studies Group -The Golden Rule of Interpretation." Biblical Research Studies Group. Web. 27 Dec. 2013. http://www.biblicalresearch.info/page47.html. 2. The entire We Believe statement of the Association of Messianic Congregations may be found at http://www.messianicassociation.org/believe.htm. 3. Click The Significance of the Kingdom link in the Table of Contents at the top of this page. 4. Ethnos may be translated "nations" or "Gentiles." The latter may be the best translation as all Israelites in the Kingdom will all know Me, from the least of them to the greatest of them," declares the LORD (Jeremiah 31:34. Also Isaiah 59:20-21; Ezekiel 11:19, 36:26; Zechariah 13:1), and the deception will be for the purpose of destroying Israel and her Israelite Lord. 5. 1 Corinthians 15:42-54. See also The Inhabitants of the Kingdom on page 4 of this compendium. 6. Being nitpicky about such things can protect from error. Before I searched out the likely meaning, I wondered whether the broad plain might refer to the Valley of Jezreel in Israel, where Antichrist will have gathered his forces at the end of the Tribulation to attack Jerusalem; but that now seems unlikely. 7. See Satan's Attacks and the Christian's Defense on page 1of this compendium. I. WHO WILL BE JUDGED? If They Are Dead How Will They Get There? II. WHO WILL DO THE JUDGING? D. WHY SUCH DRASTIC PUNISHMENT? VI. WHAT MUST I DO TO BE SAVED? The two glorious periods that believers look forward to with divine hope are the Messianic or Millennial Kingdom and Eternity or the Eternal Ages. Thus far in our studies we've covered the Messianic Kingdom, the satanically inspired persecution of the Jews and rebellion against the Lord that followed, and the utter destruction of the rebelling forces at the hand of the Lord. We will study the eternal blissful state that all holy angels and believers of all ages will enjoy; but before we do, we must study the second and last of the two transitional events between the Millennium and the Eternal Ages. The first of the two events was covered in our last study, "The Final Rebellion and the Return of the Kingdom," above - come to think of it, it was actually two significant events that was covered, the first being Satan's final rebellion, and the second being the return of the Kingdom by Yeshua to His Father! - and the next and final event of this transition period, the Great White Throne Judgment, is the subject of this study. A recapitulation of the Kingdom studies may be found in "The Significance of the Kingdom," above. If you'd like to review or read all of the studies in full, links to each may be found in our Library under the heading "Norman Manzon" with titles that begin with "The Messianic Kingdom." Before we explore what Scripture has to say about the Great White Throne judgment, let us once again lay a foundation by reading relevant aspects of the We Believe statement of The Association of Messianic Congregations. Revelation 20:7-10 summarizes what was covered in our last study: the release of Satan from the Abyss after the Millennium, the worldwide rebellion that he stirs up against the Jews and the Lord, the destruction of the rebelling army at the hand of the Lord, and the casting of Satan into the Lake of Fire. 11. Then I saw a great white throne and Him who sat upon it, from whose presence earth and heaven fled away, and no place was found for them. 12. And I saw the dead, the great and the small, standing before the throne, and books were opened; and another book was opened, which is the book of life; and the dead were judged from the things which were written in the books, according to their deeds. 13. And the sea gave up the dead which were in it, and death and Hades gave up the dead which were in them; and they were judged, every one of them according to their deeds. 14. Then death and Hades were thrown into the lake of fire. This is the second death, the lake of fire. 15. And if anyone's name was not found written in the book of life, he was thrown into the lake of fire. According to verses 12-15, it will be the unsaved of all ages who will be judged. To be sure, eternal condemnation will already have been rendered on unbelievers. Yeshua said in John 3:18, He who believes in [the Son] is not judged; he who does not believe has been judged already, because he has not believed in the name of the only begotten Son of God; but here, at the white throne, their condemnation will be declared to them openly; and just as after the Rapture each believer in the body will receive rewards according to the quality of each man's work (1 Corinthians 3:10-15), here, at the Great White Throne, degrees of punishment will be declared to the condemned, every one of them according to their deeds (Revelation 20:13). Vast billions of impenitent sinners since creation will be dead by the time of the Judgment; but if they will be dead, how will they stand before the throne? Daniel 12:2: Many of those who sleep in the dust of the ground will awake, these to everlasting life, but the others to disgrace and everlasting contempt. John 5:28-29: 28. for an hour is coming, in which all who are in the tombs will hear His voice, 29. and will come forth; those who did the good deeds to a resurrection of life, those who committed the evil deeds to a resurrection of judgment. Revelation 20:13: And the sea gave up the dead which were in it, and death and Hades gave up the dead which were in them; and they were judged. Daniel 12:2 says that they will awake; John 5:28-29 says that there will be a resurrection of judgment; the sea and death of Revelation 20:13 refer to the bodies of the unsaved deceased, and Hades is the place where their spirits are now imprisoned. The bodies and souls of the impenitent dead will be called up by God and reunited by Him to stand alive before Him in judgment. In other words, they will get to the Throne by means of resurrection. Not only unsaved people will be judged, but fallen angels, also. 2 Peter 2:4: God did not spare angels when they sinned, but cast them into hell and committed them to pits of darkness, reserved for judgment. Jude 1:6: And angels who did not keep their own domain, but abandoned their proper abode, He has kept in eternal bonds under darkness for the judgment of the great day. The angels of these passages are those who came in human form and had relations with the daughters of men (Genesis 6:2, 4). They are now in eternal bonds under darkness, (reserved) for the judgment of the great day (2). In 1 Corinthians 6:3, Paul said to the Corinthian saints, Do you not know that we will judge angels? How much more matters of this life? Which angels is he referring to? Scripture declares no judgment of any kind for faithful angels, but we've already seen that fallen angels will be judged; and Satan, an angel, will already have been thrown alive into the Lake of Fire (Revelation 20:10) prior to the White Throne Judgment. We also know that this passage refers to eternal judgment because Paul contrasts it with the judgment of matters of this life. The passage speaks of the eternal judgment of fallen angels. Who will sit on the throne of judgment? Although He is not named, it is hardly necessary to point out that the throne-sitter will be divine: from whose presence earth and heaven fled away; and who but a member of the Godhead could qualify to pronounce eternal condemnation on an innumerable number of fallen angels and billions of people, and their degrees of punishment, with unfailing fairness and accuracy? Furthermore, the throne is described as white, a symbol of holiness throughout Scripture. But who, among the Godhead, will He be? Though many writers speak in terms of probability, it is conclusive to me that it will be Yeshua. After His resurrection, He declared, All authority has been given to Me in heaven and on earth (Matthew 28:18). Though the passage is in the context of the work of the body of Messiah, He did say, All authority. Even more to the point, in John 5, He declared, 22. For not even the Father judges anyone, but He has given all judgment to the Son . . . . 27. and He gave Him authority to execute judgment, because He is the Son of Man. These are definitive statements. In the John passage, the Father is explicitly excluded as Judge, and the Son is named twice, once as having authority to execute judgment, and once as having been given all judgment. Consistent with this, it is He who will judge the members of His body after the Rapture for rewards (2 Corinthians 5:10); it is He who declared, while He yet walked the earth, that He would pronounce the eternal condemnation of the goat Gentiles when the Son of Man comes in His glory (Matthew 25:46), which will be a thousand years before the White Throne Judgment; and it is He who is presented as the Judge of the seven congregations in the same Book as the passage we are reviewing (Revelation 1-3). To this writer, it is conclusive that Yeshua will be the Throne-sitter. 1Corinthians 6:2-3: 2. Or do you not know that the saints will judge the world? . . . . 3. Do you not know that we will judge angels? Paul is affirming that the saints will not only judge the unbelievers, those associated with the world system, but angels also. The saints, those who comprise the body of Messiah, believers from Pentecost to the Rapture, will sit in judgment along with the Lord. The judgment of fallen angels by believers will be taken up again below. The basis for the judgment of the fallen angels will be whether or not they remained faithful to God when Satan tempted them to join him in his initial rebellion against God (Ezekiel 28:11-19; Revelation 12:3-4a). That third of the angels who chose to join Satan will be judged at the Great White Throne. The basis for the judgment of unsaved humanity will be rejection of belief in the Messiah. 18. He who believes in Him is not judged; he who does not believe has been judged already, because he has not believed in the name of the only begotten Son of God. 19. This is the judgment, that the Light has come into the world, and men loved the darkness rather than the Light, for their deeds were evil. What of those who were born prior to Yeshua's advent or never heard of Him while or after He walked the earth? In every age and in every place God did not leave Himself without witness whether in nature (Psalm 19:1; Acts 14:17; Romans 1) or by special revelation about Messiah, though it be as rudimentary as that declared in Genesis 3:15 in the hearing of Adam and Eve. Those who reject the light of the existence of God provided them in nature will surely reject the greater light of special revelation whether they are exposed to it or not, and will surely be condemned (Romans 1:18-20); and those who are exposed to the greater light of special revelation and reject it will likewise be condemned. It will be those who rejected the light offered whose names will not be found in the Book of Life in Revelation 20:15: And if anyone's name was not found written in the book of life, he was thrown into the lake of fire. There will be no second chance for fallen angels or human unbelievers. Scripture gives no indication that either angels who chose to follow Satan, or Satan himself, will be given a chance to repent. Neither will unbelievers be given a chance to repent after they die. 28. for an hour is coming, in which all who are in the tombs will hear His voice, 29. and will come forth; those who did the good deeds to a resurrection of life, those who committed the evil deeds to a resurrection of judgment. Those in the tombs will be resurrected and judged on the basis of what they did while alive. No second chance. Death seals the fate of people, whether it will be Heaven and their degree of reward, or the Lake of Fire and their degree of punishment. Though the Lake of Fire is commonly referred to as Hell, the two are not the same. The English word "Hell" comes from a Teutonic root which means "to hide" or "to cover." There is no special Hebrew or Greek term for the word "Hell" in Scripture. . . . The concept of Hell is included in some of the concepts of Sheol and Hades, and are totally found in the concepts of Abbadon and the pit. So while the Scriptures do not actually use a special term for "Hell," the concepts of Hell are definitely biblical. What people call "Hell" is what the Old Testament calls Abbadon or the pit, the unrighteous side of Sheol or Hades. Consider the different translations of Revelation 20:14, Then death and Hades were thrown into the lake of fire (NASB). Of the thirty-five translations I checked, eighteen render Hades as Hades (Greek), two render it as Sheol (Hebrew), and twelve render it as Hell. All the translators who used an English translation of the word - a third of them - used the word Hell; and if Hell is thrown into the Lake of Fire, they must be certainly be two different places. In this matter we see another example of the need for precise terminology: Though the souls of unsaved deceased people are in Hell (Sheol or Hades), no fallen angel is; but all will be present in the Lake of Fire. 13. And the sea gave up the dead which were in it, and death and Hades gave up the dead which were in them; and they were judged, every one of them according to their deeds. 14. Then death and Hades were thrown into the lake of fire. 15. And if anyone's name was not found written in the book of life, he was thrown into the lake of fire. The sea and death refer to the bodies of the unsaved deceased, and Hades refers to their souls. Unsaved people will be thrown body and soul into the Lake of Fire. The Lake of Fire is also named as the final abode of fallen angels and people in Revelation 19:20, 20:10 and 21:8. Preliminary to stating the sequence, we must address the issue of the goat Gentiles of Matthew 25:41-46, those who will demonstrate their unsaved state by refusing to render aid to the persecuted Jews of the Tribulation. While Yeshua yet walked the earth, He declared to His disciples what He will say to the goat Gentiles upon His return (Joel 3:1): Depart from Me, accursed ones, into the eternal fire which has been prepared for the devil and his angels (Matthew 25:41). I consulted many translations and looked into the Greek; and the plain meaning is that He will command them to enter the eternal fire at the time of His commandment to them. The torment section of Sheol or Hades is described as a place of flame (Luke 16:24) and will itself be cast into the Lake, yet it is only the Lake of Fire that is explicitly named as being prepared for the devil and his angels, and that is where the goat Gentiles will depart to. This, then, will be the sequence: first, the anti-Christ, false prophet and goat Gentiles will be thrown into the Lake in the brief interval between the Tribulation and the Kingdom (Matthew 25:41-46; Revelation 19:20); then, a thousand years later, at the end of the Millennium and prior to the White Throne Judgment, Satan will be cast in (Revelation 20:10); and then, after the Judgment, all other fallen angels and unsaved people will be cast in. All fallen angels and impenitent people will be condemned to the Lake; however, degrees of punishment will be meted out to each condemned angel and person. Scripture is very explicit in the fact that there are degrees of sinfulness and corresponding punishment for unsaved people, but it seems that it is not stated explicitly, only implied, concerning fallen angels. There are principles by which God will judge degrees of punishment for unsaved humanity, and these principles can readily be applied to angels. For example, one principle is that judgment will be in proportion to intimacy with God, and Satan was more intimate with God before his fall than were the other angels (Ezekiel 28:14). Also, as has been shown, Paul told the Corinthian believers that they will judge demons. Since their condemnation to the Lake of Fire is common to all fallen angels, what Paul must be saying is that members of the body will judge the degree of punishment that individual demons will receive in the Lake. Just as greater or lesser rewards will be bestowed upon the members of the body of Messiah at the Judgment Seat of Messiah (1 Corinthians 3:8-15), greater or lesser punishments will be meted out to fallen angels as well as unsaved humanity at the White Throne Judgment. This section addresses two concepts: 1. Principles of Judgment and 2. Degrees of Punishment. Because the passages shedding light on both are virtually the same, we will treat them together. Proverbs 26:2: A curse without a cause does not alight. An application of this is found in Jeremiah 30:15: Why do you cry out over your injury? Your pain is incurable. Because your iniquity is great and your sins are numerous, I have done these things to you. Amos 3:2: You only have I chosen among all the families of the earth; Therefore I will punish you for all your iniquities. Judgment will be in proportion to intimacy with God. James 3:1: Let not many of you become teachers, my brethren, knowing that as such we will incur a stricter judgment. Judgment will be in proportion to intimacy with God and degree of responsibility. Matthew 10:15: Truly I say to you, it will be more tolerable for the land of Sodom and Gomorrah in the day of judgment than for that city. Judgment will be in proportion to intimacy with God and revelation received. Matthew 11: 21. Woe to you, Chorazin! Woe to you, Bethsaida! For if the miracles had occurred in Tyre and Sidon which occurred in you, they would have repented long ago in sackcloth and ashes. 22. Nevertheless I say to you, it will be more tolerable for Tyre and Sidon in the day of judgment than for you. Judgment will be in proportion to intimacy with God, degree of responsibility, and the objective odiousness of the sin; in this case, hypocrisy and taking advantage of the vulnerable. Luke 12: 47. And that slave who knew his master's will and did not get ready or act in accord with his will, will receive many lashes, 48. but the one who did not know it, and committed deeds worthy of a flogging, will receive but few. From everyone who has been given much, much will be required; and to whom they entrusted much, of him they will ask all the more. Judgment will be in proportion to revelation received. Luke 23:34: But Jesus was saying, "Father, forgive them; for they do not know what they are doing." And they cast lots, dividing up His garments among themselves. A particular sin may be forgiven if the doer of the sin does not realize it is a sin - not forgiveness in the salvation sense, but in degree of punishment. John 9:41: Jesus said to them, "If you were blind, you would have no sin; but since you say, 'We see,' your sin remains. John 15:22-24: 22. If I had not come and spoken to them, they would not have sin, but now they have no excuse for their sin . . . . 24. If I had not done among them the works which no one else did, they would not have sin; but now they have both seen and hated Me and My Father as well. Punishment will be in proportion to revelation received. John 19:11: Jesus answered, "You would have no authority over Me, unless it had been given you from above; for this reason he who delivered Me to you has the greater sin." There are degrees of sin, and punishment will be in proportion to revelation received. Romans 2:9: There will be tribulation and distress for every soul of man who does evil, of the Jew first and also of the Greek. Punishment will be in proportion to intimacy with God and revelation received. James 4:17: Therefore, to one who knows the right thing to do and does not do it, to him it is sin. 2 Peter 2:4: For if God did not spare angels when they sinned, but cast them into hell and committed them to pits of darkness, reserved for judgment. (Also Jude 1:4. See Genesis 6:1-4) (4). Certain sins are more odious than others, and punishment will be in proportion to the odiousness of the sin. Revelation 20:12b: and the dead were judged from the things which were written in the books, according to their deeds. There will be degrees of punishment, and they will be based on deeds done while the sinner was yet alive. A curse without a cause does not alight. The principles of judgment and degrees of punishment will be based on deeds done while the sinner was alive. Degrees of punishment will be in proportion to the objective odiousness of the sin, intimacy with God, revelation received, and degree of responsibility; and a particular sin may be forgiven if the doer did not realize it was a sin, but denial of spiritual blindness to a sin when one ought to see it is a sin that will not be forgiven. A peculiar title, but those in the Lake will be very much alive. Daniel 12:2:Many of those who sleep in the dust of the ground will awake, these to everlasting life, but the others to disgrace and everlasting contempt. Matthew 25:41: Depart from Me, accursed ones, into the eternal fire which has been prepared for the devil and his angels. John 5:28:29: 28. for an hour is coming, in which all who are in the tombs will hear His voice, 29. and will come forth; those who did the good deeds to a resurrection of life, those who committed the evil deeds to a resurrection of judgment. Revelation 14:10-11: 10. he also will drink of the wine of the wrath of God, which is mixed in full strength in the cup of His anger; and he will be tormented with fire and brimstone in the presence of the holy angels and in the presence of the Lamb. 11. and the smoke of their torment goes up forever and ever; they have no rest day and night. Revelation 20:14: Then death [bodies] and Hades [souls] were thrown into the lake of fire. Contrary to those who hold that the Lake of Fire is a temporary place and that those thrown into it will be instantly annihilated, these passages and others like it show that the Lake of Fire will be eternal, and that it's inhabitant will live forever in a conscious state, having no rest day and night, and experiencing disgrace, contempt, the wrath of God and torment in the presence of the holy angels and in the presence of the Lamb [Yeshua]. Who has not shaken their heads at the severity of the eternal punishment depicted in Scripture? Who of us can bear to dwell on the thought of our unsaved loved ones in the Lake of Fire? The depth of the Fall is an indication of how profoundly sinful sin is. Adam and Eve dwelt in idyllic peace and bliss in the Garden, experiencing fellowship with God unmitigated and undiluted by sin (Genesis 2:21-25). Compare that with a world of injuries, sickness, agonizing pain, death, swearing, cursing, sin on every hand and ceaseless wars - and all this by reason of but one sin in the Garden. Can we even begin to grasp the vast difference between life in Heaven and life in the Lake of Fire? We can barely begin to fathom the reality of each. Yet, what we know of each from Scripture hints at the difference between a holy, joyful eternity in the presence of God and an eternity of the wrath of God in the torment of fire. This, too, is an indication of the gruesome sinfulness of sin. And last, but not least, the crucifixion of the Holy Lamb of God, who voluntarily came from Heaven, took on a mortal body, suffered thirst, hunger and crucifixion, experienced utter separation from His Father for three hours while on the Cross for the first time in eternity, and experienced the agonizing throes of death - for a death He did not deserve; but did it for us. Perhaps this is the ultimate indicator of the utter sinfulness of sin. Being limited in our perception of the sinfulness of sin, we must trust Him who is omniscient and all-loving. Genesis 18:25: Shall not the Judge of all the earth deal justly? Deuteronomy 32:4: The Rock! His work is perfect, for all His ways are just; a God of faithfulness and without injustice, righteous and upright is He. Job 34:12: Surely, God will not act wickedly, and the Almighty will not pervert justice. Isaiah 61:8: For I, the LORD, love justice. Jeremiah 17:10: I, the LORD, search the heart, I test the mind, even to give to each man according to his ways, according to the results of his deeds. Perhaps you have not yet placed your trust in the Lord for salvation, and desire to be saved from the power, the destructiveness and the punishment of the sinfulness that is binding you and hanging over you. God has made a way. Now I make known to you, brethren, the gospel . . . . that Christ died for our sins according to the Scriptures, 4. and that He was buried, and that He was raised on the third day according to the Scriptures. 16. For God so loved the world, that He gave His only begotten Son, that whoever believes in Him shall not perish, but have eternal life. 17. For God did not send the Son into the world to judge the world, but that the world might be saved through Him. Believe in the Lord Jesus, and you will be saved. Do you believe? If so, declare it to the Lord now and thank Him for your salvation. If you'd like to read my story, you can read it here: norm-biog-messianic.htm. 2. The best exposition of Genesis 6:1-6 that I know of appears in Dr. Fruchtenbaum's The Book of Genesis. See Recommended Reading, below. 3. The basis for the judgment of humanity, whether for eternal salvation or condemnation, is examined in detail in the following Shofar studies: "Salvation Is by Faith in Yeshua," "The Narrow Way" and "Eternal Security," all on Page 1 of this Compendium. 4. Fruchtenbaum, Arnold G. Messianic Bible Study 107: The Place of the Dead. San Antonio: Ariel Ministries,1992, 2005. p. 10. See Recommended Reading, below. 5. See "The Second Coming of the Lord, " Page 4 of this Compendium. 1. The Book of Genesis. 2. The Footsteps of the Messiah: A Study of the Sequence of Prophetic Events. Many consider Footsteps a landmark work in the piecing together of end-time prophecy. Cooper, D.L. (1951, July). Biblical Research Society: Dr. David L. Cooper. Retrieved from http://ariel.org/dlc/dlc.htm. See "The Millennial Reign of Christ" and "The Eternal Order" sections of What We Believe. Simmons/Providence Baptist Ministries, T.P. (2010). Chapter 43, The Final State of the Righteous and the Wicked. http://www.pbministries.org/Theology/Simmons/chapter43.htm. of the living God, the heavenly Jerusalem. 1) Is New Jerusalem a Designation for the Church? 2) Is Mount Zion a Designation for the Church? 5. IS NEW JERUSALEM HEAVEN? Let us once again lay a foundation by reading relevant aspects of the We Believe statement of The Association of Messianic Congregations. For context, we'll include the entire statement on Last Things. The eternally blessed state beyond the Millennium in which all believers since Adam will reside is commonly referred to as Heaven. Will Heaven be the eternal dwelling of the righteous? What does Scripture tell us about our future eternal heavenly home? Let us look at the Old Testament, and then the New. The Tanach, or Old Testament, does not cite Heaven as the future eternal dwelling place of the redeemed. Three places in Scripture are called Heaven. One is the atmosphere. Genesis 1:20: Then God said, "Let the waters teem with swarms of living creatures, and let birds fly above the earth in the open expanse of the heavens." Another is what we call outer space, which contains sun, moon, stars, interstellar dust and all else that is there. Genesis 1:14-17: Verses 14-15: Then God said, "Let there be lights in the expanse of the heavens to separate the day from the night, and let them be for signs and for seasons and for days and years; and it was so. The third place is the Heaven where God dwells, which can be seen in Revelation 11:13 and numerous other places. In 2 Corinthians 12:2 and 4, Paul called this place Paradise and the third heaven. This is the Heaven that is our present focus. What does the Old Testament say about Heaven? It says that God is the Possessor of Heaven (Gen. 14:19, 22), that He dwells in Heaven (Deuteronomy 26:15; 1 Kings 8:23), that He rules earth from Heaven (2 Chronicles 36:23) and that He performs actions on earth from Heaven (Exodus 16:4, 20:22). Also, the Angel of God or the Angel of YHVH, Who is God the Son, spoke to Hagar and Abram from Heaven (Genesis 21:17, 22:11). When the righteous died in the ages before Yeshua, they went to the Paradise section of Sheol (Genesis 37:35; Job 14:13; Psalm 16:10. Luke 23:43: And He said to him, "Truly I say to you, today you shall be with Me in Paradise." Although there was a compartment in Sheol reserved for the unrighteous, even the righteous spoke of themselves as going "down" to Sheol (Genesis 37:35; Job 7:9). This Paradise section of Sheol could not possibly be the same as Heaven because Heaven is constantly referred to as being "up" (Deuteronomy 30:12; 1 Samuel 5:12). Enoch was taken up (Hebrews 11:5); Elijah went up by a whirlwind to heaven (2 Kings 2:11); Yeshua was taken up (Acts 1:2); Paul was caught up to the third Heaven (2 Corinthians 12:2). Enoch and Elijah were taken up to Heaven, but Scripture does not say that they were to abide there forever. In fact, it is likely that they will be brought down from Heaven to enjoy the Messianic Kingdom along with all the other Old Testament saints (Ezekiel 36:24-28; Daniel 12:1-2; Matthew 8:15-18; 24:31; Mark 13:27). To conclude, the Tanach nowhere states or implies that Heaven, or the Paradise section of Sheol, for that matter, will be the eternal dwelling place for the righteous. As far as Sheol is concerned, Yeshua emptied it of its saints upon His ascension, to ascend with Him to Heaven (Ephesians 4:8-10); but they will be brought down again to enjoy the Messianic Kingdom (Ezekiel 36:24-28; Daniel 12:1-2; Matthew 8:15-18; 24:31; Mark 13:27). The chronological reach of Old Testament revelation concerning a blessed dwelling place for the righteous is the Messianic Kingdom, which is addressed at length and in many places, and which the New Testament informs us will be terminated after a thousand years (Revelation 20:1-6). Plain revelation about what will follow the Kingdom was reserved for the New Testament. Two passages provide us with a vision of our future eternal glorious abode, a vision that God has lovingly blessed us with in the midst of the storms of this life that we may fight on for His glory. As it says of Yeshua in Hebrews 12:2, who for the joy set before Him endured the cross, despising the shame, and has sat down at the right hand of the throne of God. So may it be for us as we behold the joy set before us. Let us rise above mere intellect and partake of the passages with reverence and joy! The passages are Hebrews 12:22-24 and Revelation 21:1-22:5. The Revelation passage opens our eyes to the New Heaven, the New Earth and the New Jerusalem, providing a broader vision than the Hebrews passage does. We will therefore read the Revelation passage first. The apostle John is being shown visions of the future by the ascended Yeshua. 21:1. Then I saw a new heaven and a new earth; for the first heaven and the first earth passed away, and there is no longer any sea. 2. And I saw the holy city, new Jerusalem, coming down out of heaven from God, made ready as a bride adorned for her husband. 3. And I heard a loud voice from the throne, saying, "Behold, the tabernacle of God is among men, and He will dwell among them, and they shall be His people, and God Himself will be among them, 4. and He will wipe away every tear from their eyes; and there will no longer be any death; there will no longer be any mourning, or crying, or pain; the first things have passed away." 5. And He who sits on the throne said, "Behold, I am making all things new." And He said, "Write, for these words are faithful and true." 6. Then He said to me, "It is done. I am the Alpha and the Omega, the beginning and the end. I will give to the one who thirsts from the spring of the water of life without cost. 7. "He who overcomes will inherit these things, and I will be his God and he will be My son. 8. "But for the cowardly and unbelieving and abominable and murderers and immoral persons and sorcerers and idolaters and all liars, their part will be in the lake that burns with fire and brimstone, which is the second death." 9. Then one of the seven angels who had the seven bowls full of the seven last plagues came and spoke with me, saying, "Come here, I will show you the bride, the wife of the Lamb." 10. And he carried me away in the Spirit to a great and high mountain, and showed me the holy city, Jerusalem, coming down out of heaven from God, 11. having the glory of God. Her brilliance was like a very costly stone, as a stone of crystal-clear jasper. 12. It had a great and high wall, with twelve gates, and at the gates twelve angels; and names were written on them, which are the names of the twelve tribes of the sons of Israel. 13. There were three gates on the east and three gates on the north and three gates on the south and three gates on the west. 14. And the wall of the city had twelve foundation stones, and on them were the twelve names of the twelve apostles of the Lamb. 15. The one who spoke with me had a gold measuring rod to measure the city, and its gates and its wall. 16. The city is laid out as a square, and its length is as great as the width; and he measured the city with the rod, fifteen hundred miles; its length and width and height are equal. 17. And he measured its wall, seventy-two yards, according to human measurements, which are also angelic measurements. 18. The material of the wall was jasper; and the city was pure gold, like clear glass. 19. The foundation stones of the city wall were adorned with every kind of precious stone. The first foundation stone was jasper; the second, sapphire; the third, chalcedony; the fourth, emerald; 20. the fifth, sardonyx; the sixth, sardius; the seventh, chrysolite; the eighth, beryl; the ninth, topaz; the tenth, chrysoprase; the eleventh, jacinth; the twelfth, amethyst. 21. And the twelve gates were twelve pearls; each one of the gates was a single pearl. And the street of the city was pure gold, like transparent glass. 22. I saw no temple in it, for the Lord God the Almighty and the Lamb are its temple. 23. And the city has no need of the sun or of the moon to shine on it, for the glory of God has illumined it, and its lamp is the Lamb. 24. The nations will walk by its light, and the kings of the earth will bring their glory into it. 25. In the daytime (for there will be no night there) its gates will never be closed; 26. and they will bring the glory and the honor of the nations into it; 27. and nothing unclean, and no one who practices abomination and lying, shall ever come into it, but only those whose names are written in the Lamb's book of life. Rev 22:1. Then he showed me a river of the water of life, clear as crystal, coming from the throne of God and of the Lamb, 2. in the middle of its street. On either side of the river was the tree of life, bearing twelve kinds of fruit, yielding its fruit every month; and the leaves of the tree were for the healing of the nations. 3. There will no longer be any curse; and the throne of God and of the Lamb will be in it, and His bond-servants will serve Him; 4. they will see His face, and His name will be on their foreheads. 5. And there will no longer be any night; and they will not have need of the light of a lamp nor the light of the sun, because the Lord God will illumine them; and they will reign forever and ever. 22. But you have come to Mount Zion and to the city of the living God, the heavenly Jerusalem, and to myriads of angels, 23. to the general assembly and church of the firstborn who are enrolled in heaven, and to God, the Judge of all, and to the spirits of the righteous made perfect, 24. and to Jesus, the mediator of a new covenant, and to the sprinkled blood, which speaks better than the blood of Abel. When John saw the Lord Yeshua sitting upon His throne in preparation for the White Throne Judgment, he wrote, Then I saw a great white throne and Him who sat upon it, from whose presence earth and heaven fled away, and no place was found for them (Revelation 20:11). This is poetic language, but not mere poetic language; for immediately after the sentences of the Judgment are carried out, he wrote, Then I saw a new heaven and a new earth; for the first heaven and the first earth passed away (21:1). Though expressed poetically, 20:11 describes the literal obliteration of our present created universe. That universe, so polluted by sin from the time of Adam until the end of the Millennium, upon which the Adamic curse presently resides in full force and which will retain elements of that curse even in the Kingdom, will be obliterated. As God spoke the universe into existence out of nothingness, so will He return it into nothingness that it may be replaced by a perfect, wholly intact, holy and thoroughly blessed dwelling for the saved of all ages. This fleeing away of earth and heaven is not to be confused with what is described in 2 Peter 3:10, which is the destruction and ruination, but not obliteration, of the earth during the terrible judgments of the Great Tribulation. Then I saw a new heaven and a new earth; for the first heaven and the first earth passed away, and there is no longer any sea (Revelation 21:1). With our present created heavens and earth obliterated, the White Throne Judgment terminated and the sentences of the doomed carried out, God will create a new heaven and new earth, a newly created heaven and earth which are not to be confused with those spoken of in Isaiah 66:22 and 2 Peter 3:13, which refer to the repaired heaven and earth of the Millennial Kingdom after the judgments of the Tribulation. Nor should this newly created heaven be confused with the Heaven that God dwells in, which is uncreated and has existed from eternity past. The new heaven will be a newly created heaven, just as our atmosphere and all that is in the universe were created. Also, the newly created earth will be very different from the one we know. Whereas four-fifths of our present earth is covered by ocean, in the new earth . . . there is no longer any sea. Furthermore, it will likely be many times larger than our present earth, as we shall see. No sooner are we told of the creation of a new heaven and earth than we are told of the holy city, new Jerusalem, coming down out of heaven from God, made ready as a bride adorned for her husband (21:2). New Jerusalem, still in Heaven, must be where Yeshua is now preparing the many mansions (KJV) or dwelling places for those who love Him: In My Father's house are many dwelling places; if it were not so, I would have told you; for I go to prepare a place for you (John 14:2); for as it says in Hebrews 12:23 above, the saints of all of earth's ages will dwell there. Before we proceed further, it would be good to clear up some issues that have arisen. In 21:16-17, the New Jerusalem is described as having specific dimensions and as having a wall with specific dimensions - not symbolic dimensions, but dimensions according to human measurements. What this means is that we are to understand New Jerusalem as being a literal city. Therefore, New Jerusalem cannot be another name for the church. Another reason that New Jerusalem cannot be a designation for the church is because Hebrews 12:23 includes among its residents not only the general assembly and church of the firstborn, which refers the church, a term that the New Testament limits to believers from Pentecost to the Rapture, (2) but also the spirits of the righteous made perfect, which refers to the Old Testament saints (cf. Hebrews 11:39-40). 2. it contain many more believers than those that constitute the church. In and of itself, the passage appears to declare an identity between the bride, the wife of the Lamb and the holy city, Jerusalem; but is it actually doing that? After all, elsewhere in the New Testament, the church is referred to as a bride; and if the bride is called the holy city, Jerusalem here, doesn't that mean that New Jerusalem is really the church? Revelation 21:2: And I saw the holy city, new Jerusalem, coming down out of heaven from God, made ready as a bride adorned for her husband. The verse uses bride as a simile for - not as the identity of - New Jerusalem - as a bride. If 22:9 uses the bride as a metaphor for - not as the identity of - the holy city, Jerusalem, it would be consistent with the use of a bride as a simile in 21:2, and would also fall in line with the two reasons shown above as to why New Jerusalem can't be the church. It is reasonable to say that bride in 22:7 is used as a metaphor for the city, not as the identity of it. To clarify the distinction between a metaphor and an identity, consider Juliet's use of "a rose" as a metaphor for Romeo in Shakespeare's Romeo and Juliet: "A rose by any other name would smell as sweet." Did she mean that Romeo was a literal rose with ants crawling all over him and bees buzzing around his head? Of course, not. She used "rose" as a metaphor to convey the sweetness and beauty of her heartthrob. In the same way, the bride is used as a metaphor for the holy city, Jerusalem to convey its purity and beauty. Another thing to note is that although the bride is used elsewhere as a metaphor for the church, there is no reason that it cannot have a different meaning here. Scripture contains other metaphors that are used in more than one sense. In Psalm 66:12, water represents trouble; but in John 7:38, it represents spiritual life. In the same way, bride is used elsewhere as a metaphor for the church, but here it is used as a metaphor for the holy city, Jerusalem. In addition to the bride being used as a metaphor for New Jerusalem, it may be used in a second sense here, as well, as metaphorical of all believers in the city, not just those in the church. An understanding of the sequence of events leading to an Israeli wedding at the time of the writing should shed light on this use of the bride, the wife of the Lamb here. 1. The marriage arrangement and paying of the bride price by the groom's father. 2. The escorting of the bride to the wedding (usually much later). Scripture shows the church passing through all four stages, some of which contain more that one step. Eight steps are shown below. Scripture also shows that those believers who are not members of the church pass through most, but not all, of the eight stages. 6. Sacrifice and meal offering You have not desired; My ears You have opened; Burnt offering and sin offering You have not required. 7. Then I said, "Behold, I come; In the scroll of the book it is written of me. 8. I delight to do Your will, O my God; Your Law is within my heart. Also Isaiah 42:5-7 and 49:5-6. 2. The Paying of the Bride Price by the Father of the Groom. John 3:16: For God so loved the world, that He gave His only begotten Son, that whoever believes in Him shall not perish, but have eternal life. Luke 22:20: This cup which is poured out for you is the new covenant in My blood. 3. The Betrothal or Engagement of the Bride to Her Groom through Faith in Messiah. In 2 Corinthians 11:2, Paul, who brought the Corinthians to faith Messiah, wrote, I betrothed you to one husband, so that to Christ I might present you as a pure virgin. 4. The Purification of the Bride. In Ephesians 5:25-27, the saved, betrothed church is being purified by her future Husband in preparation for marriage to Him: that He might sanctify her, having cleansed her by the washing of water with the word. 5. The Escorting of the Bride to the Wedding. In 1 Thessalonians 4:13-18, the betrothed bride is shown as being escorted to Heaven, her Groom's home, at the Rapture: and so we shall always be with the Lord, where the final purification of the Bride will take place (1 Corinthians 3:11-15). In Revelation 19:6-8, the purified bride and her Groom are married in Heaven prior to the Second Coming: Let us rejoice and be glad and give the glory to Him, for the marriage of the Lamb has come and His bride has made herself ready. The wedding feast will take place on earth after the Second Coming, probably the first event of the Millennium. Revelation 19:9: Blessed are those who are invited to the marriage supper of the Lamb. To review, the point of showing that all believers will eventually pass through this marriage sequence is that, in addition to the bride being used as a metaphor for New Jerusalem, it is also likely used as a metaphor for all believers in the city, not just for the church. 2. it contains many more believers than just those in the church. 3. Bride is a simile for New Jerusalem in 21:2. 4. The bride, the wife of the Lamb is a metaphor for New Jerusalem in 22:9-10. 5. The bride, the wife of the Lamb is likely also a metaphor for all believers of all ages present in New Jerusalem. A comment by Dr. J. Vernon McGee on 21:9 may nail it on the head. (Ouch! ): "Although a distinction between the bride and the city needs to be maintained, it is the intent of the writer to consider them together." The passage in question is Hebrews 12:22: But you have come to Mount Zion and to the city of the living God, the heavenly Jerusalem, and to myriads of angels . . . .
Mount Zion is a literal mountain or hill in Jerusalem. In the Tanach, which the writer of Hebrews was very familiar with (judging from the entire Book), Zion was a term, rich in meaning, that was used for all Israel (Jeremiah 31:12; Zechariah 9:13), Jerusalem itself (Isaiah 40:9), and the Temple in Jerusalem (Psalm 2:6; 48:2, 11–12; 132:13; Jeremiah 31:6). It would be consistent with that that the writer used Mount Zion in the same way in reference to the heavenly Jerusalem. Furthermore, in the passage, the city of the living God is equated with the heavenly Jerusalem, which also adds to the likelihood that Mount Zion is a third designation in the equation (the heavenly Jerusalem = the city of the living God = Mount Zion); and since New Jerusalem cannot be another name for the church, Mt. Zion, which is equated with it, cannot be a name for the church either. This conclusion is supported by various translations. Even if one may suppose that the writer is referring to a literal Mount Zion in the New Jerusalem, it cannot be a name for the church for the same reasons that New Jerusalem can't be; nor does any use of Mount Zion elsewhere in Scripture point to its use as a name for the church. 16. The city is laid out as a square, and its length is as great as the width; and he measured the city with the rod, fifteen hundred miles; its length and width and height are equal. 17. And he measured its wall, seventy-two yards, according to human measurements, which are also angelic measurements. Fifteen hundred miles long, wide and high can describe either a perfect cube or a four-sided pyramid; but if the city were a pyramid as some speculate, surely the writer would have made it clear as that would be a most unusual shape for a city. In this regard, it is interesting to note that its closest earthly counterparts, the holy of holies in the tabernacle, and later the temple, were in the shape of a cube (Exodus 26:31-33; 1 Kings 6:20; 2 Chronicles 3:8). The dimensions of New Jerusalem are not to be glossed over: fifteen hundred miles long, wide and high. How high is 1,500 miles? For comparison's sake, according to Space Today Online, "U.S. space shuttles . . . . usually fly at altitudes around 200 miles above Earth;" (6) so New Jerusalem will be seven and a half times as high as space shuttles fly! At a height of 1,500 miles, New Jerusalem will be six thousand times taller than the Empire State Building, which is a quarter of a mile high. If any semblance of proportion is to be presumed, New Earth may be thousands of times larger than our present earth. The holy city is said to have walls, gates and streets. 18. The material of the wall was jasper; and the city was pure gold, like clear glass. 19. The foundation stones of the city wall were adorned with every kind of precious stone. The first foundation stone was jasper; the second, sapphire; the third, chalcedony; the fourth, emerald; 20. the fifth, sardonyx; the sixth, sardius; the seventh, chrysolite; the eighth, beryl; the ninth, topaz; the tenth, chrysoprase; the eleventh, jacinth; the twelfth, amethyst. 21. And the twelve gates were twelve pearls; each one of the gates was a single pearl. And the street of the city was pure gold, like transparent glass. According to 21:16, it walls will be seventy-two yards or two hundred and sixteen feet high, twenty-two storeys, which is less than one thirty-seven thousandth of the city's height. So what's the point of having walls? Not for security! 21:5 says, its gates will never be closed. In addition, the Triune God will be dwelling there as well as the entire host of holy angels, and they will be quite enough for security! Also, we, in a state of confirmed creaturely holiness, will be impervious to spiritual attack; and dwelling in immortal, invincible, glorified bodies, we'll be impervious to physical attack. Furthermore, nothing unclean, and no one who practices abomination and lying, shall ever come into it (21:7) because they'll be "a great gulf fixed" away in the Lake of Fire. So why the walls and gates? In addition to blessing the saints with their great beauty, they will be there to honor the twelve tribes of Israel and the apostles. 12. It had a great and high wall, with twelve gates, and at the gates twelve angels; and names were written on them, which are the names of the twelve tribes of the sons of Israel. 13. There were three gates on the east and three gates on the north and three gates on the south and three gates on the west. 14. And the wall of the city had twelve foundation stones, and on them were the twelve names of the twelve apostles of the Lamb. The gates will honor the twelve tribes of Israel through whom God brought forth His written Word and the Messiah. They will also honor the foundational work of the twelve apostles of the Lamb, who established the church and laid down New Testament doctrine in their declarations and writings. 22. I saw no temple in it, for the Lord God the Almighty and the Lamb are its temple. 23. And the city has no need of the sun or of the moon to shine on it, for the glory of God has illumined it, and its lamp is the Lamb. 24. The nations will walk by its light, and the kings of the earth will bring their glory into it. 25. In the daytime (for there will be no night there) its gates will never be closed; 26. and they will bring the glory and the honor of the nations into it; 27. and nothing unclean, and no one who practices abomination and lying, shall ever come into it, but only those whose names are written in the Lamb's book of life. The Lord God the Almighty and the Lamb, who will fill the city with the glory of their Presence, will be the city's Temple, and we will abide in Them. 24. The nations will walk by its light, and the kings of the earth will bring their glory into it. When considering what nations the verse might be referring to, we must not think in terms of countries. All believers will dwell in New Jerusalem. The word for nations is ethnos, better translated as "peoples." We believers, who will be gathered from every tribe and tongue and people and nation (Revelation 5:9) will be its nations or "peoples." What kings of the earth will bring their glory into it? We, the redeemed, will be its kings. 22:5 says of us, and they will reign forever and ever. When will we bring our glory into New Jerusalem? The moment God escorts us into it after it settles upon the New Earth. What glory we will bring into it? Daniel 12:3 says, Those who have insight will shine brightly like the brightness of the expanse of heaven, and those who lead the many to righteousness, like the stars forever and ever. We must also note that we, who will reign as kings, will also be the Lamb's bond-servants who will serve Him (22:3), though we are not told in what capacity we will serve Him. Perhaps our service will be in the form of continual worship of Him akin to that of the seraphim and twenty-four elders of Revelation 4:7-11. What else could it be? Perhaps that question has an answer, but we can't tell what it is now. 1. Then he showed me a river of the water of life, clear as crystal, coming from the throne of God and of the Lamb, 2. in the middle of its street. On either side of the river was the tree of life, bearing twelve kinds of fruit, yielding its fruit every month; and the leaves of the tree were for the healing of the nations. 3. There will no longer be any curse; and the throne of God and of the Lamb will be in it, and His bond-servants will serve Him; 4. they will see His face, and His name will be on their foreheads. 5. And there will no longer be any night; and they will not have need of the light of a lamp nor the light of the sun, because the Lord God will illumine them; and they will reign forever and ever. That which is purely and fully life-giving will flow from the throne of God and of the Lamb, and that fruit which is purely and fully blessed for the sustenance of our eternal lives will proceed continually from the tree of life. And the leaves of the tree were for the healing of the nations. Nearly every translation renders it for the healing of the nations or something similar; but how can we need healing if our spirits are already purged of the sin nature, our bodies are already glorified, and no trace of the curse or its effects will have any place there? Perhaps Wuest translates it best: And the leaves of the tree were for the health of the nations. Tabernacles had its initial fulfillment in Yeshua (John 1:14). It will also have a fulfillment in the Kingdom (Zechariah 14:16), and its final and ultimate fulfillment will be in the New Jerusalem. Revelation 21:3: "Behold, the tabernacle of God is among men, and He will dwell among them, and they shall be His people, and God Himself will be among them. . . . The tabernacle of God is identified with a divine He. Who is He? The word for tabernacle here is the same as that used by the same author for dwelt in John 1:14, where he wrote, And the Word became flesh, and dwelt among us, and we saw His glory, glory as of the only begotten from the Father, full of grace and truth. Yeshua will be dwelling or "tabernacling" among us once again in the New Jerusalem; but in light of 22:3, and the throne of God and of the Lamb will be in it, we see that God the Father will also be tabernacling among us. Many years ago, I sat under a Bible teacher as he taught a long series; and he said repeatedly, "Big doors swing on little hinges." Over the years, I've discovered that he was absolutely correct when it comes to rightly dividing (KJV) or accurately handling the word of truth. So let's work on this little hinge. Is New Jerusalem a symbolic reference to Heaven? Some say that it is; but Revelation 21:10 speaks of the holy city, Jerusalem, coming down out of heaven from God. If it comes down out of heaven it cannot be Heaven. It must be distinct from it. Nowhere does Scripture call New Jerusalem Heaven. Hebrews 12:22 calls New Jerusalem "heavenly," but not Heaven. It carries the glory of Heaven, but is not Heaven itself. Hebrews 12:22 tells us, But you have come to Mount Zion and to the city of the living God, the heavenly Jerusalem, and to myriads of angels, 23. to the general assembly and church of the firstborn who are enrolled in heaven, and to God, the Judge of all . . . .
From this we understand that God will dwell in the heavenly Jerusalem in a special way just as His Son dwelt on earth in a special way; and just as Yeshua never relinquished His omnipresence even while He walked here bodily, neither will God in New Jerusalem. God is omnipresent, and His Presence can never be restricted by the dimensions of New Jerusalem or the New Earth, but must extend outward to infinity. With this fact in mind along with the fact that New Jerusalem will come down out of heaven, we must conclude that Heaven will exist for an eternity apart from the New Jerusalem. New Jerusalem is not a designation for Heaven. Scripture contains doors that swing on the hinge of New Jerusalem not being Heaven; and those doors may be hinges for even larger doors. The doors that I have in mind are such declarations as were made by Yeshua and Peter in Matthew 5:12, 6:1, 6:20, 19:22,10:21; Mark 10:21; Luke 6:23, 12:33; 18:22; and 1 Peter 1:4. 1. We, the members of the body of Messiah, will receive our rewards or treasures or inheritance when we get to Heaven during the seven year period after the Rapture (1 Corinthians 3:10-15). 2. We will receive our rewards or treasures or inheritance when we get to Heaven after the Great White Throne Judgment, where we will dwell for eternity. 3. God, who dwells in Heaven, is keeping track of our rewards or treasures or inheritance there. 4. We will receive our rewards or treasures or inheritance in the Messianic Kingdom. Here's the rub: Since we've seen that our eternal dwelling will not be Heaven, but New Jerusalem, we must eliminate the second possibility. 20. For our citizenship is in heaven, from which also we eagerly wait for a Savior, the Lord Jesus Christ; 21. who will transform the body of our humble state into conformity with the body of His glory, by the exertion of the power that He has even to subject all things to Himself. To say that our citizenship is in Heaven is not to say that we will dwell there forever, and we've seen that our eternal home will not be Heaven, but New Jerusalem. In our legal standing in Messiah, whom God made to be sin on our behalf, so that we might become the righteousness of God in Him (2 Corinthians 5:21), God counts us as much citizens of Heaven as He does His own Son, who now dwells with Him in Heaven. Even as we dwell body and soul here on earth, God has blessed us with every spiritual blessing in the heavenly places in Christ and has raised us up with Him, and seated us with Him in the heavenly places in Christ Jesus (Ephesians 1:3; 2:6). Similarly, our citizenship is in heaven. [God] will wipe away every tear from their eyes; and there will no longer be any death; there will no longer be any mourning, or crying, or pain; the first things have passed away." 3. and the throne of God and of the Lamb will be in it, and His bond-servants will serve Him; 4. they will see His face, and His name will be on their foreheads. 5. And there will no longer be any night; and they will not have need of the light of a lamp nor the light of the sun, because the Lord God will illumine them; and they will reign forever and ever. And He who sits on the throne said, "Behold, I am making all things new." And He said, "Write, for these words are faithful and true." Then He said to me, "It is done. I am the Alpha and the Omega, the beginning and the end. I will give to the one who thirsts from the spring of the water of life without cost. 2. See The Universal Body of Messiah at http://www.messianicassociation.org/ezine13-believe.htm. 3. For a discussion of the meaning of the bride, the wife of the Lamb in Revelation 21:10, read or listen to The Jewish Wedding System and the Bride of Messiah by Dr. Arnold Fruchtenbaum at http://ariel.org/come-and-see.htm, or read Dr. Fruchtenbaum's Messianic Bible Study 015: The Wife of Jehovah and the Bride of Messiah. 4. Today's Israel covers an area of 8,630 square miles. Israel Ministry of Foreign Affairs, http://www.mfa.gov.il/mfa/aboutisrael/land/pages/the%20land-%20geography%20and%20climate.aspx. 5. The Millennial Jerusalem described in Ezekiel 47 and 48, will be a mere ten miles by ten miles in area. Dr. David L. Cooper, http://ariel.org/dlc/dlc.htm. 7. See Dr. Fruchtenbaum's Messianic Bible Study 062: The Feasts of Israel, or the author's The Prophetic Feasts of Israel at http://www.biblestudyproject.org/feasts-of-israel-messianic.htm. Manzon, N.A., (2009). Bible Study Project: Norman A. Manzon. Retrieved from http://www.biblestudyproject.org/feasts-of-israel-messianic.htm. Scriptures chosen by the author are in the New American Standard version unless otherwise noted. Scriptures in quotes by others may be in different translations. Names, titles and other terms within quoted scriptures and elsewhere may have been changed from the English to the Hebrew form for the sake of cultural sensitivity. "The Heavenly Ages" completes the sequence of systematic studies begun with "The Scriptures" on page 1. However, more studies follow. Please continue on to Page 6. © Norman Manzon, 2005 - 2018. When email, remove the spaces.